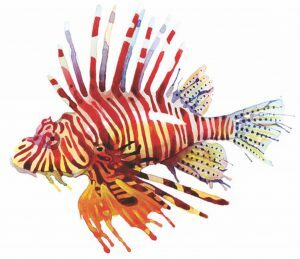 You’re invited to partner in the fifth annual Sarasota Lionfish Derby, hosted by Mote Marine Laboratory, in cooperation with Reef Environmental Education Foundation. This year’s event will be based at Mote, with a Captain’s Meeting June 6, lionfish hunting July 7 in the Gulf of Mexico – tournament boundaries are defined as Collier County to Escambia County – and the lionfish weigh-in July 8 at Mote. Cost to participate in the Derby is $120 per team (minimum two people per team, maximum four people). The public is invited to join Mote scientists and derby participants at the weigh-in for educational dissections and lionfish tastings on Sunday. For up-to-date information and tasting tickets, visit mote.org/lionfish. Newer PostSea turtle hatchlings due any day, but will they survive red tide?